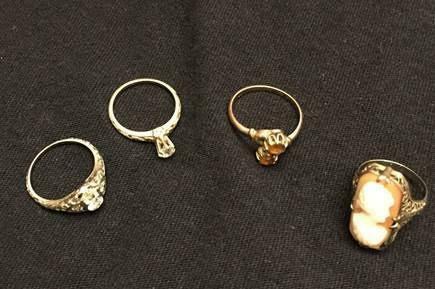 A woman dropped four rings into a red kettle in Northridge on Monday. 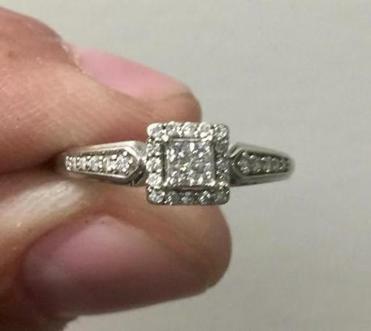 In what has become a Christmas tradition, people are donating wedding rings to the Salvation Army for the third straight year. On Monday, a woman approached a bell ringer in front of a Walmart in Northbridge and asked if the red kettle could be opened. She had brought four rings in boxes and wanted to see if she could put them in the kettle, according to Drew Forster, a spokesman for The Salvation Army. When the bell ringer said he could not open the kettle to do that, the woman removed the rings from their boxes and dropped them into the kettle. The ring was dropped into a red kettle in Waltham on Wednesday. The tradition began in 2014, when a widow placed her gold wedding band and a diamond engagement ring with a note in a red kettle outside of Boston’s North Station, The Salvation Army said. She said she was donating in honor of her late husband and asked that the rings be sold to help children in need during the holiday season. She was later reunited with the rings after a donor gave $21,000 to The Salvation Army and asked for the jewelry to be returned to its owner. As news of the generosity spread, the organization received 15 jewelry donations in a matter of weeks, raising more than $30,000. The trend continued in 2015, with donations that included rings and a Rolex watch. This year’s donations came a few days after The Salvation Army completed an online auction of more than 60 jewelry items donated last year, raising close to $27,000, the organization said.